When the American Medical Association surveyed healthcare providers on their use of digital health tools, they found that 85 percent saw benefits for patients using digital health solutions. They found that physicians are, “optimistic about digital health innovation and its game-changing potential to benefit medicine.” Providers reported believing that digital tools could help improve practice efficiency, increase patient safety, reduce physician burnout, cement patient relationships, and improve diagnostic ability. The digital health field is quickly growing with new applications, devices, and services coming on the market for providers and patients all of the time. Not every solution makes sense for every practice, of course, but there are some that can benefit providers of all types and sizes. Here are our top five. In a 2017 CDW survey, 70% of patients reported that they’ve become more engaged with their healthcare in the past year. A whopping 75% of patients are using an online patient portal provided by their healthcare provider. That’s up from just 45% in 2016. The ability to access health information, make appointments, request prescription refills and exchange messages with providers all in one easy-to-use online platform is something that today’s patients see as a requirement. Patient portals benefit providers as well, streamlining administrative tasks such as appointment scheduling. Communication via text is a fact of modern life. With people ditching their landlines and managing their lives from their phone, it makes sense for providers to take advantage of this consumer preference and offer appointment reminders, post-visit instructions, and other updates via text. Care should be taken that the solution is HIPAA compliant and secure. Telemedicine is an exploding area of digital healthcare. The ability to conduct some visits remotely using a secure audio and video application has numerous benefits for patients and providers alike. Patients get to skip the crowded waiting room, avoid missing work, and eliminate travel time and costs. Providers can offer a more flexible schedule, earn more revenue by seeing more patients in a day, get paid for follow-up calls, and improve practice efficiency. 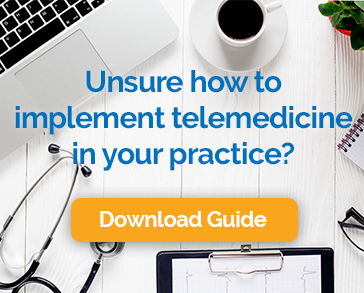 Telemedicine is essential for practices to consider giving rising consumer demand and the launch of several online-only options for care. No provider can know everything about every condition and potential treatment. For example, it is impossible to know every potential drug interaction. That’s why some digital decision support applications are available to give providers the information they need to make the best clinical decisions. One example is Epocrates by athenaHealth. It provides information about potential drug interactions, available alternative medications, and insurance formularies. It even has a tool to help doctors identify an unknown pill. Having this sort of information at the physician’s fingertips helps improve the quality of care, ensure patient safety, and reduce delays during a visit. One of the best ways to keep up with current trends, learn about new techniques and tools, and get fresh insight into cases is to join one of the many online networks for healthcare providers. Many have a mobile app that makes it easy to stay connected to the community from wherever you happen to be. One popular network is Figure 1, a community where providers view and discuss real-world medical cases with healthcare professionals from every specialty. There are even specialty specific networks, such as Orthomind, a platform exclusively for certified orthopedic surgeons. Technical advances have changed almost everything about how we live and work. Healthcare is no exception digital health tools are changing the game for patients as well as providers. It is smart to think strategically about which technologies will have the most significant positive impact on practice management and patient satisfaction. We think these five are a great place to start.